AQA has released its examiner reports about the first AQA GCSE History 9-1 exams which took place in the summer. The reports overall have been really positive, with students performing well in the new exams. We have summarized the key issues that the examiners found students needed to improve, and collated some free content that address these issues to help your students avoid these mistakes in the future. some students did not manage their time effectively, spending unnecessarily long on questions with less marks available, and then had less time to complete other answers properly. The rule of thumb is to spend 5 minutes writing for every 4 marks available. Students struggled to fully develop their answers and made simple assertions without providing evidence. Weaker responses saw students telling a story or being overly descriptive instead of producing a clear line of well-supported argument. Students did not address the question being asked, for example in source questions a common pitfall was to focus on how a source is not useful, instead of using it to address the focus of the question. This was also seen in some cause and consequence questions, where a lack of secure knowledge lead to students listing facts they did know, rather than focusing on the demands of the question. Students also referred to events outside of the dates specified in particular questions. Students who adopted a line-by-line approach were less successful than those who were able to show overall understanding of the piece. As above, this weaker approach meant students were not focused on what the question was asking of them. For example, students tended to allege sources were ‘biased’ or ‘reliable’ when the source question is about ‘usefulness’. 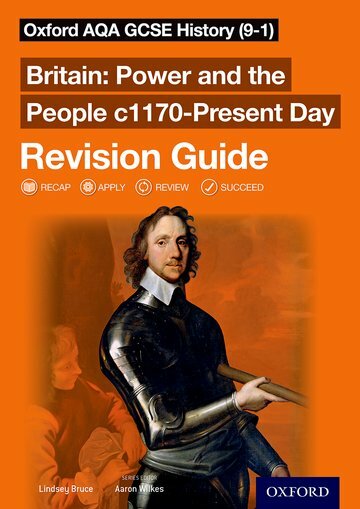 Improve time management with this excerpt from Britain: Power and the People c1170-Present Day Revision Guide, part of the Oxford AQA GCSE History Revision Guides series, which shows how to master the ‘significance’ question in a timely manner. 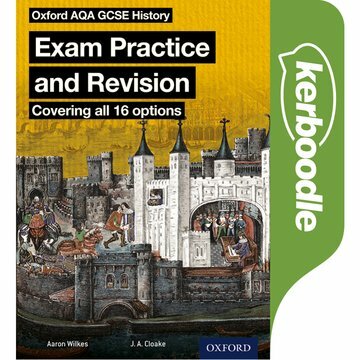 Fully develop answers with these sample On Your Marks worksheets from Oxford AQA GCSE History Kerboodle: Exam Practice and Revision, which provides scaffolding to help students improve and develop exam answers. 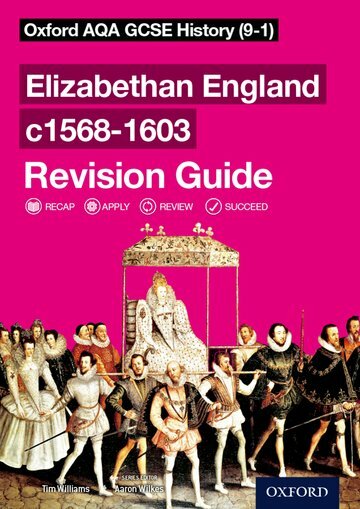 Practise directly answering the question with this sample Activities and Examiner Tip excerpt, taken from Elizabethan England c1568-1603 Revision Guide, part of the Oxford AQA GCSE History Revision Guides series. 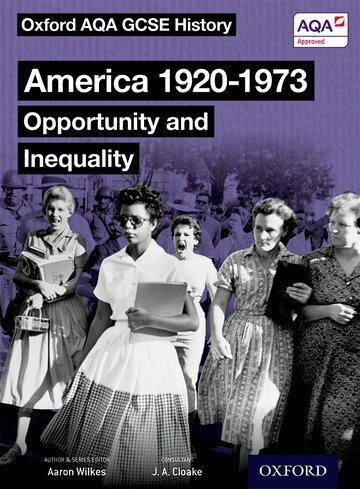 Practise source and interpretation questions with these sample exam advice pages, taken from America 1920-1973 Opportunity and Inequality Student Book, part of the Oxford AQA GCSE History textbook series. For advice and strategies on how to improve students’ understanding of language and key terminology, read the Why ‘Closing the Word Gap’ matters to History teachers blog post by Lindsay Bruce, History teacher and author. Visit the website to find out more about the Oxford AQA GCSE History series. ← Practice and Procedure Pays Off!